The Administrative Services Division is committed to delivering a standard of administrative and technical support to the Department of Human Resources in matters related to fiscal, budget, procurement, human resources, and facilities management. It is our goal to ensure that the financial, personnel and operational needs of the Department are met. The Office of Human Resources Section administers the departmental personnel programs which include recruitment and selection, training, health and safety, performance management, and employee recognition. We also manage the return to work program to ensure compliance with State and Federal regulatory as well as County policies. We collaborate with other departments in classifications, compensation and payroll services. We manage and maintain personnel records and transactions for the departmental employees. Budget and fiscal services responsibilities include the preparation and submission of the departmental budget. We manage and record expenditures and revenues by monitoring contract activities, processing vendor invoices and charges from other departments; processing service and supplies requests; and developing and processing charges to other departments and outside entities for services provided by the Divisions. We also monitor and adhere to the Internal Control Certification Program. We provide space and facility planning for emergent and future facility needs in the Department. This includes identifying space requirements due to operation and resource changes for the Divisions in multi-locations. We actively participate in special management initiatives which include the support for Strategic Planning efforts of the Department; administration of the PeopleStats metrics project; and provide oversight for the departmental emergency coordination. We also provide countywide services by planning and coordinating special training workshops. Civil Service Advocacy Division (CSAD) provides leadership Countywide in the area of performance management and we are best known to County client departments for our successful representation in Civil Service Hearings. We represent some 60% of County departments in Civil Service hearings in regards to discipline (suspensions of six or more days, reductions, and discharges), discretionary matters (examinations appeals – application rejections, appraisals of Promotability rating from records, etc.) and claims of discrimination. Client departments rely on our leadership to help them meet their performance management goals. To this end, we provide consultation services on a variety of HR related issues. CSAD advocates assist departments often at the onset of administrative actions when critical decisions are made regarding the appropriate steps that can and should be considered. Our leadership role in the area of performance management is continuing to expand as we help client departments and organizations such as Management Council get in front of identified trends and best practices by providing training and presentation opportunities. To ensure equal opportunity and respect for diversity in employment, programs and services. For information about an CPOE investigation, contact the CEIU at pceiu@hr.app.lacounty.gov . Please include your name, employee number, job title, and County department in your communication. The Countywide Talent Assessment Division (CTAD) is committed to the highest standards of integrity and customer service in providing the County and its departments with high-quality and diverse candidates for employment through effective examination planning, test development, recruitment, and assessment of each applicant’s competencies. We provide individualized service to walk-in customers by providing a one-stop job information center. We also respond to telephone calls from prospective job applicants to answer questions about the exam process. Additionally, EISO contains three computerized testing rooms that are used to administer assessments to candidates. We perform test development activities to ensure candidates are evaluated based on job-related criteria. We collect validation evidence in accordance with professional standards and guidelines. We manage and administer a full range of assessments including multiple choice tests, interviews, performance, evaluations of training and experience, and writing samples. To ensure countywide jobs can be filled rapidly, our team continuously plans recruitments and assesses candidates so that departments have access to candidates who are eligible for hire. Our staff provides technical examination assistance and support to create a comprehensive and focused recruitment strategy and may administer examinations for departmental specific classes. Our services include providing just-in-time solutions as our staff is available for 1:1 consultations via e-mail and the over phone. We provide technical guidance and direction to help departments craft examinations that are compliant with relevant County, State and federal laws and guidelines; and will identify highly qualified candidates to carry out the mission of their respective departments. To expedite hiring, conserve resources and maximize the use of lists from which managers can make hiring choices, our staff assists departments in restoring and extending the life of eligible lists, identifying candidates with specialized skills, and establishing substitute lists. Our staff ensures that proper scoring and notification of results is processed properly through the use of an automated system. Staff provides direct personal contact to candidates by administering a test review service for those that wish to review their results in accordance with County Civil Service Rules. Our staff manages hiring certification lists for various Countywide classes and rapidly responds to Departmental list requests which contain the names of candidates eligible for appointment through the Certification Desk Management System (CDMS), an on-line system. Our staff directly assists job seekers who require assistance in their job searches, including providing procedures for applying for County jobs. We in the Employee Benefits Division strive to provide County employees with an excellent benefits package that is competitive, cost effective, communicated through plain language and administered using the latest technologies and the highest level of customer service. County of Los Angeles employees say their benefits play a large role in what makes the County such a great place to work. We in the in Employee Benefits – Deferred Income Division strive to provide a level of customer service worthy of that view. Our customers are the Departmental Human Resources staff and the County’s nearly 100,000 employees. We administer four highly competitive flexible benefit plans (Options, Choices, Flex and MegaFlex) with their corresponding medical, dental and life insurance plans, as well as the Deferred Compensation Plans (Horizons, Savings, and Pension Savings Plans). All of these benefits provide a degree of security for employees in important, and sometimes delicate, aspects of employees’ lives – health, financial protection, and retirement. We keep that importance in mind, as we deliver our services in a supportive, professional, and cost-effective manner. The division is divided into three sections that work on individual projects and programs, yet the division is a cohesive unit that joins together on large projects such as annual benefits enrollment. To provide clear and effective information to County employees and the public through publications, programs and community events. Meeting the challenges of running a dynamic and diverse County such as our takes top talent. Talent Solutions Division (TSD) provides services in executive recruitment to the various County departments. We recognize that recruiting and retaining individuals best suited for the job is essential to the success of the County’s mission. We also administer the County’s performance management program called Management Appraisal and Performance Plan (MAPP), a key part of our retention strategy. In addition to recruiting for executive positions, the division administers a variety of programs that develop individuals into future County employees and leaders. Most notably are the Administrative Intern and County Management Fellows programs, which motivate participants to excel and achieve high efficiency, reduce costs, realize expected revenues, and deliver quality service. Our Career Development Intern Program provides opportunities to former foster youth to be trained for County employment. And our Veterans’ Intern Program provides paid internships for qualified veterans of the Armed Forces, designed to afford them with on-the-job training and work experience that will enable them to effectively compete for permanent County jobs. To positively impact the delivery and results of human resource services by providing technical expertise to strengthen HR capacity Countywide. The Impact Division is comprised of HR professionals who function as technical human resources consultants. Our objective is to provide our customers—line departments—with tools and strategies to strengthen the delivery of HR services. We provide a variety of services to our customers such as conducting comprehensive assessments, providing technical assistance and augmenting staff to meet business requirements. We are committed to providing superior customer service, using team-based approaches to problem solving, modeling personal and professional excellence in the work place and serving as change agents in facilitating organizational efficiency. Our assessments provide a thorough and objective review of our customer’s human resources programs, which includes processes and performance. The assessments can cover five broad HR areas: (1) general administration, (2) overtime, leave and health and safety, (3) HR operations, (4) performance management, and (5) exams, classification and recruitment. We identify strengths of the program and areas which can be enhanced or improved. We include measures of how successful processes have been implemented. Since each customer need is unique, we develop customized tools to assist in the evaluation of programs. We identify established program standards and evaluate them against the customer’s current practices and processes. The tools ensure a structured and efficient approach and provide valuable information to our customers from a qualitative and quantitative perspective. Based on the outcome of the assessment, we provide solutions and strategies to strengthen the delivery of HR services. As the result of an assessment, we may also provide technical assistance in implementing the recommendations. The type of assistance we provide varies and may include augmenting staff in performing the day-to-day technical HR work. This may be the result of an influx of work that results in an operational backlog, lack of the sufficient number of staff to meet workload demands or immediate vacancy of a critical position. Based on the needs of the customer and the nature of technical assistance required, we develop measurable work objectives. The objectives focus on implementing the recommendations from the assessment, meeting our customer’s strategic goals and enhancing performance in the following areas: timeliness, effectiveness and efficiency. The Central Live Scan Unit provides direct services to customer line departments through the Live Scan (fingerprint rolling) program and the Court Records Information Service Program (CRISP). 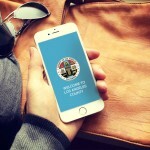 The unit is also responsible for the Countywide monitoring of the utilization of temporary contract personnel , the annual reporting of outside employment activities, and the evaluation of job-related felony convictions to determine if they meet the California Public Employees’ Pension Reform Act (PEPRA) criteria for referral to Los Angeles County Employee Retirement Association. The mission of the Human Resources Departmental Support Division is to ensure County professionals are applying appropriate policies and procedures in providing effective and caring service to their customers. HRDS’ customers are the County’s line departments, its employees, and the general public. Our division handles protests against civil service exam results, investigations of claims of improper personnel practices, and claims of retaliation as the result of whistle blowing. We develop policies to inform and educate all employees on the standards governing the County as it implements updated Countywide policies, procedures, and guidelines; and to investigate possible policy violations. The Policy Section coordinates the development of new, and the revision of existing, Countywide human resources policies. This body of regulation is referred to as the Policies, Procedures, and Guidelines (PPG). The Section also coordinates the review of Board of Supervisors policies that are assigned to, or fall within the scope of, DHR. In addition, the Section compiles Countywide data and prepares the Director of Personnel’s Quarterly Military Reservist Report to the Board of Supervisors. As the County’s e-Verify program administrator, the Section provides technical assistance to County departments regarding employment eligibility (I-9) requirements, and serves as the liaison between the County and the Department of Homeland Security, US Citizenship and Immigration Services. The Investigations Section was created to address employee and constituent allegations of improper personnel practices. By first ensuring that the complainant’s department has had the opportunity to address the issues, DHR’s Investigations staff works with County departments toward resolution of the issues. The Section also ensures that any employee, who in good faith, has reported incidents that may constitute fraudulent acts or inappropriate use of County resources, is protected from retaliation by conducting an investigation that is reported out to the Board of Supervisors pursuant to County Code Section 5.02.060,Retaliation for reporting fraud, waste or misuse of County resources. If allegations are substantiated in any type of investigation, the Section is responsible for making recommendations for corrective action, and works with the involved department in implementing those actions. During Fiscal Years 2008-09 and 2009-10, 278 investigations were completed. Shared Services provides solutions in HR Operations, Recruitment & Selection, Performance Management, Health & Safety, FMLA, Absence Management and Return to Work with the goal to serve as the single point of contact and as the central service center providing expert technical assistance to Client Department on departmental delegated human resources business processes. The Information Technology Division is committed to implementing efficient and effective enterprise scale technological solutions for countywide personnel administration in the effort to realize our department’s goal to “automate all things HR”. We also aim to provide exceptional customer services and support to both county personnel and the public in the usage of our IT solutions. DHR’s Information Technology Division is tasked with transforming delivery of DHR services and operations across the County by ensuring seamless day-to-day functions and implementing enterprise scale technology initiatives. We serve as the main source of support for all thirty five (35) County departments for central human resource information systems. Our end to end enablement model includes change management, innovation initiatives, infrastructure maintenance, system administration, training, best practice advisory and help desk support. Critical Countywide HR systems include eHR (ERP), Learning Management System (LMS), Employee Performance System (EPS), NeoGov, Performance Management Tracking System (PMTS), Appeals, Investigations Management Tracking System (ITMS) and Absence Management System (AMS). We continually strive to identify, define and implement innovative solutions to further DHR and LA County’s mission to be the employer of choice. We train. We consult. We develop. We anticipate. We solve. We connect with departments and their employees by providing services focused on enhancing work performance and career growth. We offer development opportunities ranging from instructor-led, half-day workshops to online courses to six-month certificate programs. From concept to immediate application, some of our courses equip our employees with knowledge and “know-how.” Other courses serve broader goals by developing pools of employees who will be ready to compete for higher-level jobs. We also help departments analyze specific training needs and develop programs to build specific skill-sets. We facilitate many of the online courses through our Learning Net system. We facilitate the online Performance Net system to help supervisors and managers better manage and measure staff performance. The system houses work plans that document employee work, performance expectations, and developmental goals. These plans facilitate communication between supervisors and employees throughout the year and help them navigate the connection between an employee’s performance and the County’s success. Our focus is on creating and promoting strategic recruitment, development, engagement, and retention strategies that enable departments to foster operational effectiveness. Recent examples include 360-degree feedback assessment, career planning, coaching, onboarding, and stay interview tools and resources. Whether through designing and administering employee surveys or conducting in-depth analysis of internal and external workforce trends and demographics, we provide services to help departments understand today’s workforce, predict tomorrow’s needs, and create operational changes that will meet those needs.